Mr. Theodore B. Young, also known as Ted, has been the Chief Financial Officer, Treasurer and Principal Financial & Accounting Officer at Dorian LPG Ltd. since July 2013. Mr. Young has been Chief Financial Officer and Treasurer of Dorian LPG (USA) LLC since July 2013. He serves as the Vice President at Bear Stearns Companies, Inc. He served as Head of corporate development of Eagle Ocean from 2011 to 2013. He has over 10 years of private equity investment and corporate finance experience. He served as the Senior Managing Director at Irving Place Capital LLC from 2004 to 2011. His areas of focus included chemicals, general industrial, transportation and logistics, financial technology, and food and beverage and had joined Irving Place in 2004. He was responsible for investment in Balducci. Mr. Young was a Principal at Harvest Partners, Inc. from 1997 to 2004. 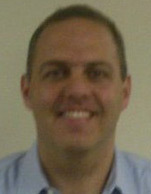 He joined Harvest Partners in 1997. Previously, he was employed at Merrill Lynch and Co. and at SBC Warburg Dillon Read, in the Corporate Finance Departments, based in the United States and Europe. He served as a Management Consultant at Booz Allen Hamilton, based in Frankfurt. He served as a Director of MC Shipping Inc. Mr. Young holds an M.B.A. from the Wharton School of the University of Pennsylvania and an AB in History from Dartmouth College.